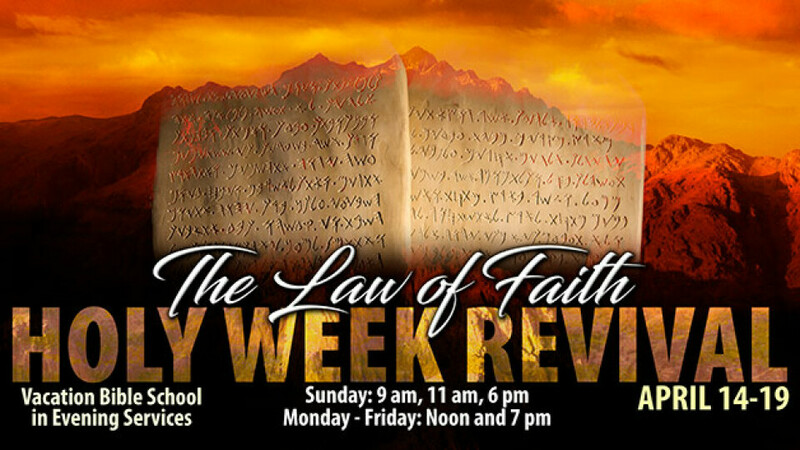 Mark you calendar now for our 2019 HOLY WEEK REVIVAL from April 14-19. This will be a powerful time of REVIVAL. Many miracles have been happening every week, in every service. Come expecting God to do many miracles in your life! In the weekday noon services, Dr. Austin Lingerfelt will teach on prayer. In the evening services, Dr. Gene Lingerfelt will teach on "The Law of Faith." In the evening services, there will be nursery for ages 0-3, plus Vacation Bible School for ages 4-5 and children in grades 1-6.